It looks like these saws are really gaining popularity over in Europe, and I bet many of you wish these saws would make their way to the States, but are they really worth it? 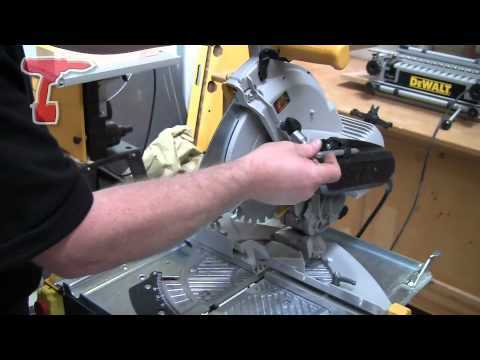 If you watch the video of the DeWalt DW743N flip saw, you quickly realize how slow it is to transfer between the two saws. Can that lost time really justify that fact that you have one less tool in your truck? For Americans, I think the answer is no, especially now that both miter and table saws are becoming smaller and smaller. In Europe, however, having extra space is a bit more valuable. I think if you compare the size of their vehicles to ours you can see what I mean. 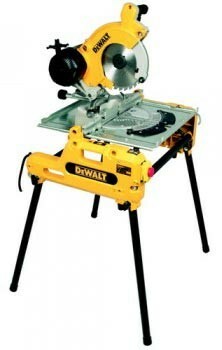 Dewalt DW743N 250mm Combination Saw complete with 30 tooth SERIES 60® saw blade, parallel fence, push stick, 4 detachable legs, saw blade guard and assembly tool. Available in 110 and 240 volts.